In Search of a Trustworthy and Results Driven Weyburn Mortgage Broker? Search no further! FOCUS Mortgage Solutions is here to help you pave your way to prosperity. Focus Mortgage Solutions is the leading Weyburn Mortgage Broker in Saskatchewan. FOCUS has years of experience with home loans and mortgages in Weyburn, SK and make it a point to add an uplifting and ethical spin to home lending in Weyburn. Our Weyburn Mortgage Brokerage Firm prides itself on maintaining exceptionally effective lending methods and a stress-free disposition during the lending process. We lift the lending roadblocks and pave the way for a future with more possibilities. An increased level of comfort can be reached affordably. The future you actually dreamed of and deserve awaits you at FOCUS Mortgage Solutions of Weyburn. Contact one of our knowledgeable staff members to hear a list of pros and cons, have a laugh and get busy finding solutions the FOCUS way! Focus Mortgage Finds Creative Weyburn Financing Solutions - We are the 'Yes" People. FOCUS Weyburn Brokerage Firm also delivers exceptional Saskatchewan Mortgage Solutions to Yorkton, Estevan, Regina and beyond. 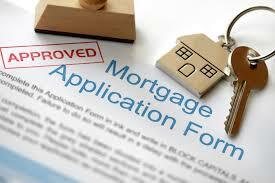 We find creative financing solutions when handling your lending and mortgage transactions. Our gift to our loyal customers is delivering premium lending services with a light-hearted & hassle-free approach to home financing. Focus continues to be the leading Weyburn Mortgage Broker in the region because we have committed ourselves to delivering clients premium brokerage services no matter the circumstances. Our services are affordable, private, ethical and always professional. -- AND MOST IMPORTANTLY FUN! Why embark on a new chapter in your life and have the process weigh you down? Focus Mortgage Solutions in Weyburn, SK takes the stress out of the home loan process and replaces it with options and solutions. Focus Mortgage Solutions is the best Weyburn Mortgage Broker in Saskatchewan, and for good reason. Just ask our clients, they will vouch for our impeccable reputation for finding creative mortgage solutions to suit just about any situation. We are known for having a good sense of humor and being easy to work with as well. Let's be honest, how disheartening is it to finally have enough money saved up to put a down payment on your dream home, and then having your dreams soured when you see the inflated insurance rates you're facing? FOCUS has a solution to this lending roadblock. Our exceptionally savvy Weyburn Mortgage Broker Professionals are hip to your mortgage goals. Focus Mortgage Solutions is prepared to overcome, with you, the many hurdles that are encountered while attempting to get a fair Weyburn loan and interest rate in Saskatchewan. Want a quick reference to calculate your Weyburn Mortgage? Our Weyburn Mortgage Calculator will take your purchase price - help you identify your down payment amount - AND, it will even calculate your potential Mortgage Insurance Fee. Here in the Great White North, there are 3 different Weyburn Mortgage Insurance Providers. Which are CMHC, Genworth Financial and Canada Guaranty. Oddly their services are nearly identical with a few wavering differences in plans, but they all do the same thing... They protect YOUR lender's money. How do I pay for it? - Good News - the lender adds the insurance cost to your mortgage and they pay it directly to the Weyburn Mortgage Insurer. Is it negotiable? - No. Weyburn Mortgage Insurance is non-negotiable. It is set up on a sliding scale based on the size of your down payment and/or the product you require. To learn more about Weyburn Mortgage Insurance, we welcome and encourage you to visit CMHC by clicking HERE! >VISIT FOCUS MORTGAGE WEYBURN TODAY! Let's throw out some hypothetical scenarios for the sake of an easily understood explanation. Let's say you buy a house for $100,000.00 and you have $5,000.00 for a down payment. That would put you in the 3.15% Weyburn Mortgage Insurance Premium box. - A Credit Score of NO LESS than 650 on Equifax. - Industry experience of NO LESS than 2 Years. So if you own your own welding company...we want to see you have 2 years of self employment in this industry or at minimum 6 months Self Employed History with the 2 years of industry experience from your previous employer. Creating a trusting relationship with our clients is very important to us at Focus Mortgage Solutions Weyburn, SK. We still believe in the integrity of a hand shake. We'd never replace that with a generic mailer or impersonal automated emails. As the leading Weyburn Mortgage Broker we have successfully grown our business because of our dedication to exceptional customer relations and ethical business dealings.